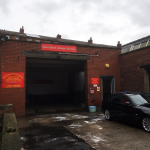 NOW LET – 5,500 sqft Industrial Unit at Yarrow Mill in Chorley. Unit 19 Yarrow Business Centre will be available To Let from 01 March 2015 at the rate of £8,000 p.a. + S/C + VAT. Currently used for car repairs and maintenance, the unit would suit a wide range of users, including trades, small manufacturing operations and storage. 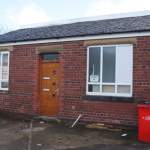 NOW LET – 500 sqft Office Suite at Yarrow Mill in Chorley. We currently have around 500 sqft of offices split across 3 rooms, to let at our Yarrow Mill site. The building has been recently refurbished and comes with WC and kitchen facilities. There is ample parking on site and we are inviting offers around £80+VAT per week for the space. If you are interested, please do not hesitate to contact us on 01257 231100.